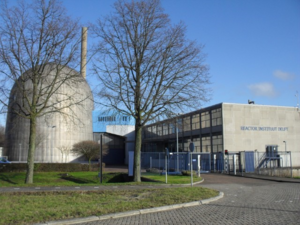 The Reactor Institute Delft (RID) together with the department Radiation, Science & Technology (RST) has been the Dutch knowledge center for radiation-related research and education for over 50 years. With our knowledge and expertise we play an important role in fundamental and applied scientific research. The research is in various fields, such as sustainable energy, materials and health, both nationally and internationally. You can for instance think of research in the field of solar cells and batteries and medical isotopes for diagnosis and treatment of cancer. The RID operates a unique research facility: the HOR nuclear reactor. This is a small pool-type research reactor (2 MW). The reactor is not built to produce electrical power, but is a source of neutrons and positrons for research purposes. In addition, we have radiochemical laboratories. The RID is an expert in safe handling of radiation. Through consultations and courses at all levels we share this knowledge.